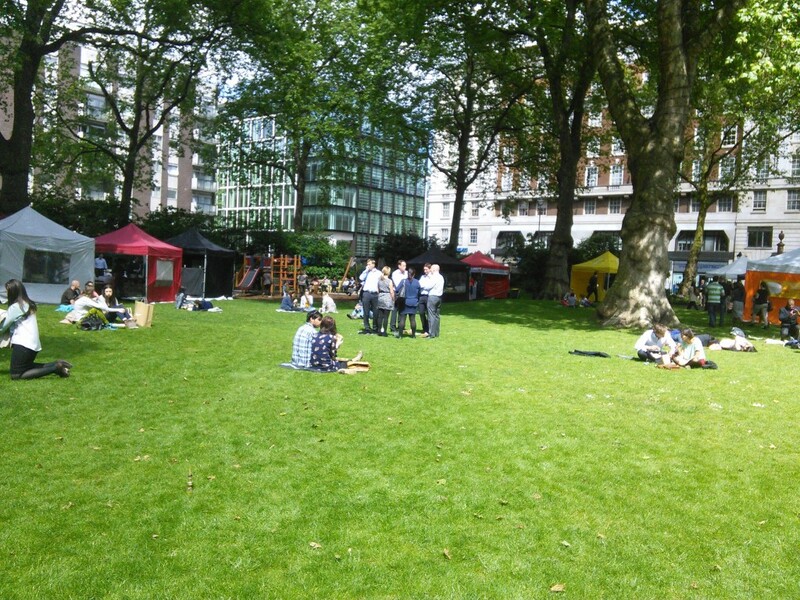 Some of the Good News Shared team visited the Munch in Marylebone stall at the Baker St food market, held in the beautiful Portman Square Garden. Munch in Marylebone is a catering social enterprise run by women from the Marylebone Project. The project is a Registered Social Landlord which works with vulnerable homeless women and tries to empower them towards independent living. More than 7000 women have been helped since 1996 (when their residential units had a major refurbishment). 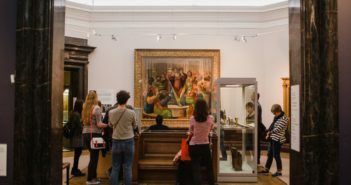 As well as Munch in Marylebone there is Space in Marylebone, which rents out meeting rooms in the area. 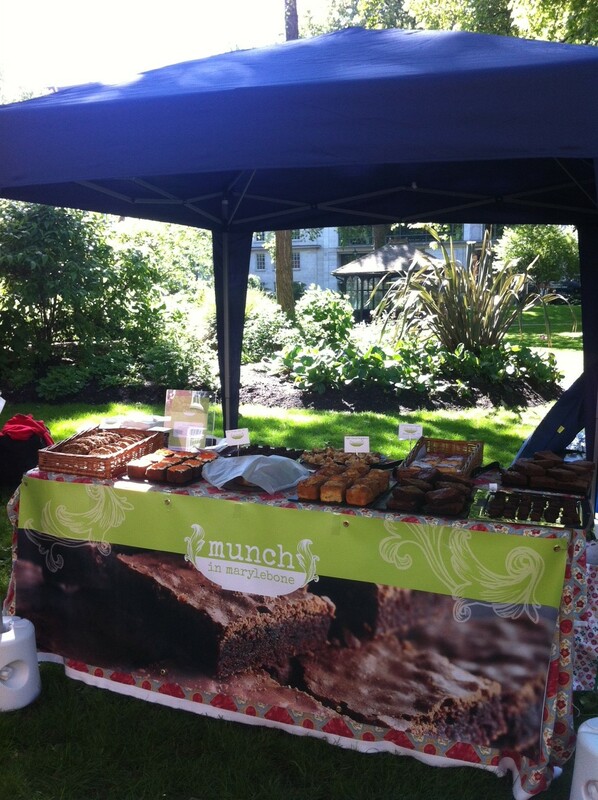 The women running the Munch in Marylebone stand were extremely friendly and passionate about their work. One was a professional cake maker who teaches the women how to bake. What so impressed me about her approach was that she said that she varied the difficulty of the cakes according to the skills of the makers, so that everyone could be involved fully. As far as I could see, all the cakes looked both beautiful and delicious- I found it hard to believe that everyone involved wasn’t a professional too. 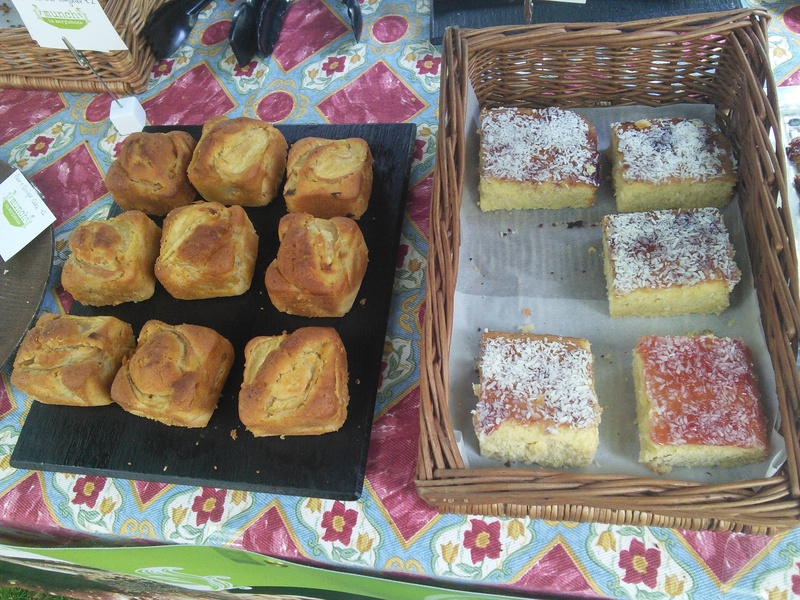 It was a treat to eat our cakes from the stall and wander around the garden, which is usually a private space. The quality was exceptional, (here I should offer the disclaimer that I had eaten one of their cakes a couple of months ago and they were so good I wanted to track them down!). Read about social enterprise cafes in our Food for Thought series by clicking here.